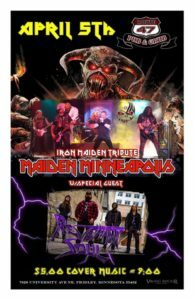 Come and rock out to the ultimate local Iron Maiden tribute band! They’ll be joined by special guests, Revenant Soul! $5 cover, music at 9!